This is one of those incredibly annoying issues. I’ve been going back and forth between so many different fixes. I almost gave up on this. Ultimately, I would have to remove all traces of the drivers with the Admin Printer Management tool and wipe out the driver manually and add the printer back. (Note, I only really see this with network printers. We don’t have any local printers where I work). I’ve discovered a fix that seems to work. (Fingers crossed). All your local client PCs connected to the remote printers should updat eon their own but don’t hold me to it. I would recommend just deleting and adding them back if you notice it does not apply to all of your local PCs. This entry was posted in Technology and tagged ERROR, HP, HP Laserjet PCL XL ERROR SUBSYSTEM, Laserjet, PCL, PCL XL, SUBSYSTEM, XL on November 18, 2015 by Patrick. So recently around the office we started noticing that the calendars listed under “Other Calendars” in outlook would just disappear if you clicked on them. This only happened to the calendars listed coming from Public Folder favorites. This is what I did to fix the problem. Go into your Public Folder Favorites and delete whatever favorites your previously created. Inside the path above navigate to the Microsoft and then Outlook folder. In the Outlook folder you will see a Outlook.xml. Rename that file to something else. (Add .old to the file name). It is never a good idea to delete a file when troubleshooting an error. Always try to rename the file causing the problem. You can rename it back if this fix does not work. Navigate to your Public Folders and add the Calendars back to your favorites. This entry was posted in Technology and tagged 2007, 2010, Click, Disappearing, Favorite, Gone, Microsoft, Outlook, Public Folder on April 21, 2015 by Patrick. It’s definitely been a while. So recently at my Job we’ve had some issues with the OST file limit. We have plent of people here that access shared resources and with their own mailbox being large need to have more thatn 20GB stored in their OST. Here is a link to the article that tells you about changing the file size limit. This entry was posted in Technology and tagged 2007, 2010, Increase OST, Limit, Microsoft, OST, Outlook, Size on April 21, 2015 by Patrick. Recently, someone asked if they can add Notepad or Wordpad to their “Send to” menu in Windows 7 when you right click a TXT file. You can add anything into this menu with ease. Create a shortcut to any application you would like. As an example, right click and then select New > Shortcut. This will add WordPad and you’re all set! This entry was posted in Technology and tagged sendto send to menu add wordpad notepad program on November 5, 2013 by Patrick. So I’m sure some of you are in smaller environments and don’t have a PC Management system in place (SCCM, Altiris, Etc). I created a Powershell script that sends the command and also does error logging. The results of the script are sent via SMTP. In this case, I created a script that runs at 2am local time and created a scheduled task on the server to run the Powershell script. The basic functionality is that it reads a Active Directory Group to get the Computer Names you would like to reboot. It then attempts to send a Shutdown -R command to all machines. It will keep track of the results and then send a HTML formatted E-Mail via SMTP. Feel free to modify the code to save to a file if you would like instead. 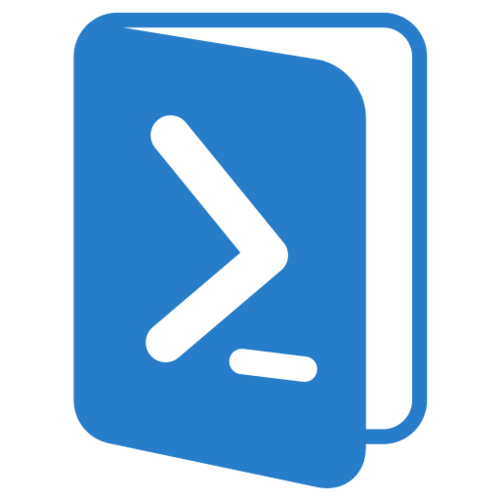 This script uses Quest’s Powershell Active Roles commands. I would recommend you down them also. This entry was posted in Powershell Scripts and tagged automated reboot, powershell, scheduled task on October 28, 2013 by Patrick. I recently took up Powershell and I plan on creating a new section where I post some new scripts I’ve created. Stay tuned! This entry was posted in Powershell Scripts, Uncategorized and tagged Windows Powershell on September 1, 2013 by Patrick. Problem with Group Policy Settings not applying or Group Membership not applying properly. I’ve seen this happen recently at my job and it actually happened to me directly. Being in Support I have to be apart of many groups. While I was setting up a new machine I noticed none of the Group Policies were applying and certain drives I normally access were now throwing a ‘Access Denied’ error. After discussing it with some colleagues we determined I was a member of too many groups. Increasing the default Token Size to 48000 was recommended. This is a very simple fix and we decided to apply it to our default machine policy for our Domain. If you are having symptoms where your group policy is not applying or a group membership isn’t taking effect try this out. This entry was posted in Technology and tagged group policy, groups, kerberos, maxtoken, maxtokensize, not applying, too many groups on July 18, 2013 by Patrick.